To bridge the connections between minority-owned investment management firms as well as other professional service providers and philanthropy, ABFE is expanding its network to include the Industry Partner category. ABFE’s goal in creating this opportunity is to dismantle the barriers that prevent institutional investors from widely accessing and benefiting from the opportunities to invest with minority- and women-owned firms and engage the services of other professional service firms. Membership in this category is open to any firm, corporation or other business organization that provides professional services (ex. advisory, consulting or management) to foundations and supports ABFE’s mission of promoting effective and responsive philanthropy in Black communities. Priority registration and discount admission to ABFE events. Access to tools and resources to inform a racial equity lens in corporate or personal philanthropic practices. 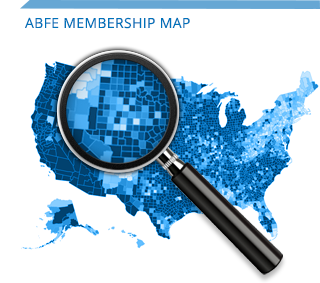 Invitations to networking and convening events with ABFE members. Speaking and presenting opportunities through webinars, professional development sessions, conference workshops, etc. Free job postings on www.abfe.org and distribution through social networks. Guest columnist privileges in quarterly e-newsletter ABFE News. Opportunity to submit industry white papers and thought pieces for distribution to ABFE’s network. For more information or to join, please contact Evelyn Rivera at 646.392.9870 or erivera@abfe.org.